Whether it's delivering a speech to an audience - or communicating with a manager at work - the confidence we bring to the situation tends to have a significant impact on the outcome. But only a few of us are NATURALLY confident. If you feel as if you belong in the second group, then it's also likely you feel limited - maybe even defeated - both professionally and personally. The good news, though, is that it's possible for ANYONE to move from that second group and into the first! Confidence is something that can be learned, through determination and the use of some simple techniques. If there's one tool I recommend for learning the techniques to build confidence and truly transform the way you face the world and deal with others, it's the classic book: How to Win Friends and Influence People by Dale Carnegie. It may look old (! ), but this is a book has stood the test of time and is still a hugely popular bestseller on Amazon. Written in the 1930s, the messages it conveys are still VERY relevant today. That's because its author had a very accurate insight into fundamental human nature. And human needs are surprisingly consistent through history! These techniques are useful in just about every situation we face in our daily lives. And as we master these techniques, our confidence builds - giving us the skills to deal effectively with others, to communicate clearly - and yes, to speak well in public and deliver our ideas in a way that resonates with our audience. 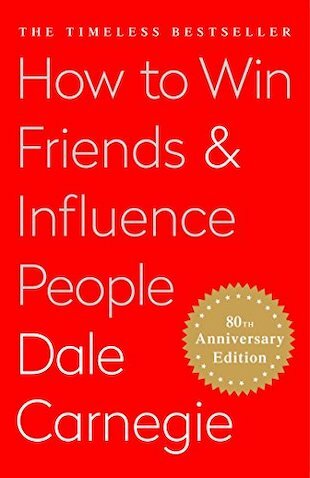 How to Win Friends and Influence People is popular because it's a timeless guide to building relationships. Some say it should be required reading for high school students. I agree and strongly recommended the book! I'm sure those who've read it would agree that the advice it provides - if put into practice - can be very transformative and have a wonderfully positive impact on your life. How to Win Friends and Influence People is available in a range of formats, so whether you like to read on a device, read a 'real' book, or listen, then there's an option to suit you.